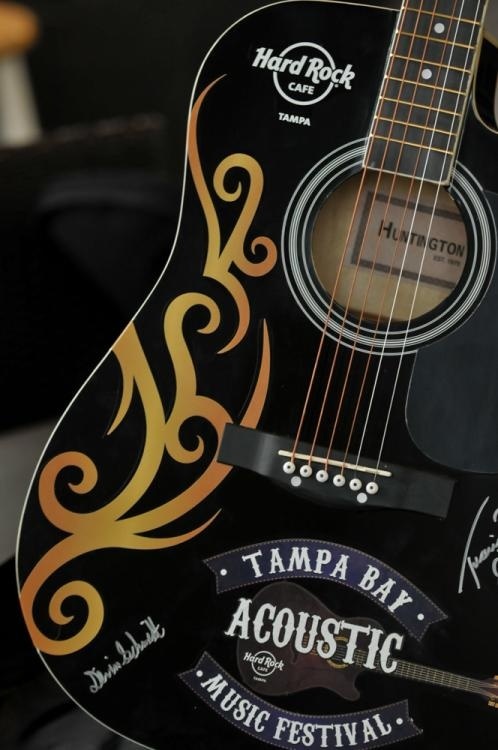 It’s been a fantastic month of local live acoustic music during the Tampa Bay Acoustic Music Festival at the Seminole Hard Rock Hotel & Casino Tampa. To celebrate the last week of the festival, 813area is partnering with the Hard Rock Cafe to host a TBAMF Weekend Extravaganza! Join other 813area Insiders for a weekend of terrific live music, awesome Hard Rock Energy drink specials PLUS everyone that checks in with 813area will receive a Hard Rock Classic tee!! 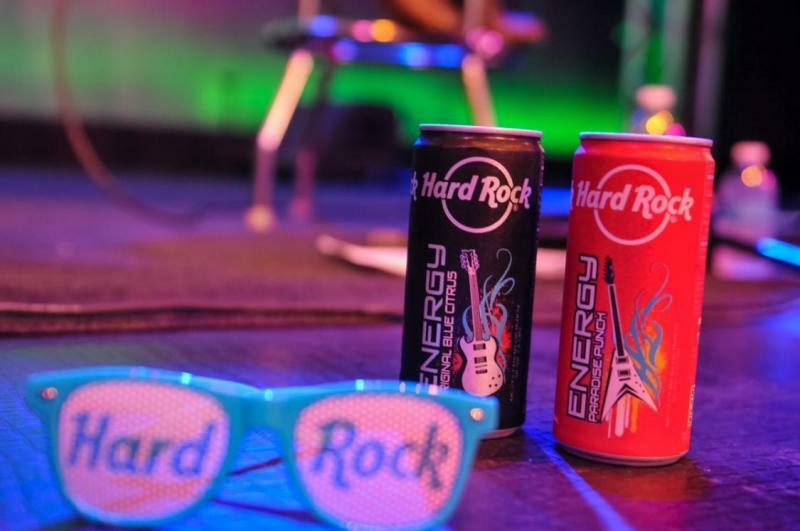 Kicking off at 5pm on Thursday, Friday, Saturday and Sunday evenings at the Hard Rock Cafe inside the Seminole Hard Rock Hotel & Casino, party it up to the best local live acoustic bands until midnight while enjoying $6 Hard Rock Energy drink specials**. So far, we’ve experienced some of the best musical talent Tampa Bay has to offer and this weekend is sure to be no exception. On Thursday night, Zack Biss & Rebekah Reid will take the stage. At only 18 years old, Zack recently released a new album Brand New and plays over 200 shows a year! If reggae is more your style, NoNeed will take the stage with their own style of reggae-rock fusion. Other musical guests on Thursday include Margaret & Brittany, Barefoot Billyand Seven Years Past. On Friday night, Logan & Yvonne Belle will play tracks from their upcoming EPDirt. Logan and Yvonne are two accomplished musicians who have worked and toured with several national acts including A Flock of Seagulls and Wang Chung in addition to opening for such artists as War, Mickey Thomas’ Starship and Edwin McCain. Closing out the night will be the mighty sounds of Mighty Mongo. MIghty Mongo has an E.P, 2 full-length albums, and a new single “Comeback”. Other musical guests on Friday include Meir Fox & The Foolish Love, The Cruz Brothers and InfinityOnHigh! Kicking off the night Saturday is multi-talented musician Christopher Sjokvist. Christopher has been playing guitar, singing and songwriting for 30 years and also plays bass, keyboard, saxophone and clarinet! He’s played in many bands and duos over the years and is now focusing on his solo career. Bringing a little more rock to the stage, The Hanging Chads are a band made up of minors, but there is nothing minor about their music! Inspired by old school classic/metal/punk rock bands, the “Chads” add their own modern edge to this foundation, creating a sound that’s far beyond their years. Other bands rocking Saturday night will be Nick Picardi, Sic Transit and C’Nergy. And sadly, we come to the final evening of the TBAMF! Drew Richer began his musical career in the early 80’s and has played in bands in both the US and Europe. His first full length solo CD titled “Snake Smile” is due for release in 2015. Other bands closing out the festival Sunday include Joey Mazzant, Adam Westfall, The Ben Carter Band and Kings County. 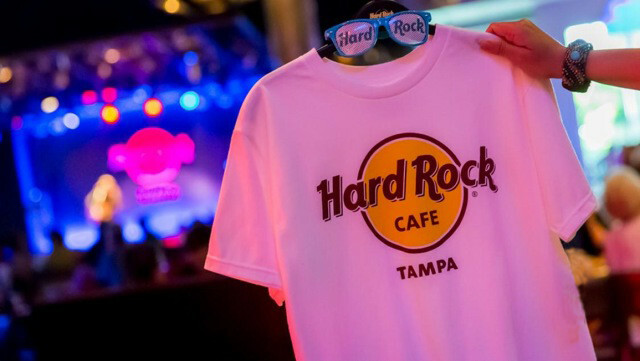 Whether you’re coming to hear the fantastic live acoustic music, take advantage of the Hard Rock Energy drink specials, get your FREE Classic tee or gamble at the beautiful Seminole Hard Rock Hotel & Casino Tampa, whatever you do, don’t miss the last weekend of the Tampa Bay Acoustic Music Festival!